I was lucky enough to work at a company that allowed me to work from home as needed. I had it all figured out. The plan was, once I gave birth I would take the 12 weeks granted of FMLA (The Family and Medical Leave Act of 1993), and work from home after and go into the office as needed. That was the perfect scenario. Three months before my due date, the company informed us (employees), that we were going into a merger with a bigger company. That, was not part of the plan. Not everyone would be transferred over to the new owning company, and that included me. The merger did not have a set date to close, but we knew it would be sometime between the end of February and June of 2016. I had many conversations with HR about how my leave and STD (short term disability) would be affected. It wasn’t until January, which at the time I was already working full time from home, that we were notified the closing would take place at the end of February. 2 WEEKS AFTER MY DUE DATE! Luckily, everything in regards to my FMLA and STD worked out for the best, as did the termination of my duties. My husband and I assured each other we would be fine. We had enough to get us through for a few months as a result of the severance pay. We really hadn’t thought about what we would do after the merger closed. We didn’t really talk about it in detail, but my husband volunteered to get a full-time job (he was contracting the year prior). I didn’t have to say it, but he knew that I wanted to stay at home with baby CJ. I did float the idea of me getting a part time job, but as a result of husband’s hard work, he got a job offer he could not refuse that would allow me to be a full-time stay at home mom. I didn’t realize how important it was for me to be home with baby CJ until I had to ponder the idea of starting to look for a new job. Being away from my brand new baby was not something that I wanted to even think about. I’ve read way too many horror stories about daycares and sitters. Don’t get me wrong! I don’t doubt that there are good, reputable establishments and people out there, but for the time being, I want nothing to do with either. There are many reasons why I am ok with being a stay at home mom, and that just happens to be one of them. Not being a stay at home mom is also ok. I know because mine was a single mother of 2 and had to work full time to provide for us. Sometimes life throws you circumstances which are hard to change, no matter how much you want to. I’m blessed to have a loving husband who understands that being a part of baby CJ’s early development is important to me. It’s important to know that compromising is an important part of being a stay at home mom. I don’t have the same freedom as if I worked from 9-5 with taking breaks whenever I want, or having adult conversations about numbers and whatnot. Demanding baby waits for no one! I have to work regular activities such as cleaning and showering around baby naps or when husband is available. I used to think stay at home moms had it easy. BOY, WAS I WRONG! Being a stay at home mom is a 24/7 hustling job! It’s hard at times, but it really is the best! New challenges, accomplishments, and mistakes, from which valuable lessons are obtained, await in the future and we couldn’t be more excited to share this new little conquest that is life as a parent! 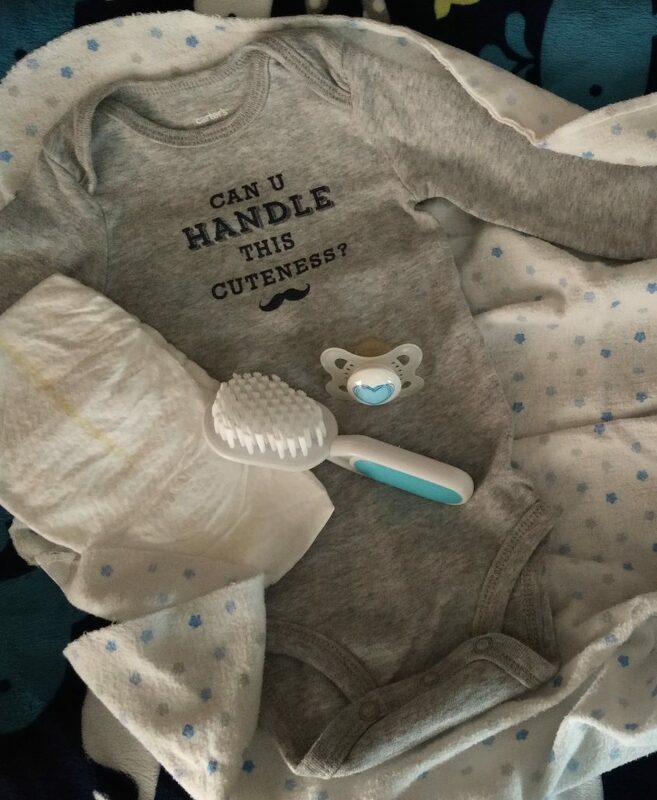 Check out My First Pregnancy Experience – Part 1: Baby Shower, Birth Classes & Hospital Tour!